Announcing October's meeting! 'Lessons from a Shark Tank Survivor: How to Build a Distinct Brand"
Hope you're enjoying this cooler weather! Our October meeting is coming up! "Lessons from a Shark Tank Survivor: How to Build a Distinct Brand" Bea Arthur is a survivor and great success following her time on Shark Tank. She will be discussing how to build a personalized brand with a loyal client base and gain excitement from investors. She developed two companies that have been featured in publications like Entrepreneur Magazine and The New York Post. Registration deadline: October 14th (day of the meeting) at 11:30am. If you register for a guest, please include the first and last name of the guest(s) at the time of purchase. 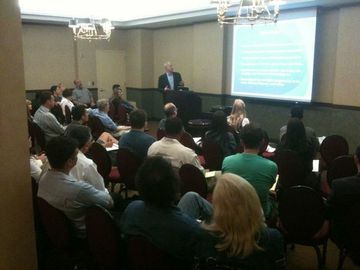 Also, admission includes viewing and participating as an audience member at the pitching panel held after the talk. Interested in pitching your invention (patented or patent-pending) to our expert panel who will offer great advice and feedback? 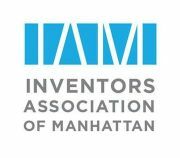 See more information and register here: http://www.meetup.com/manhattan-inventors/events/140590532/.